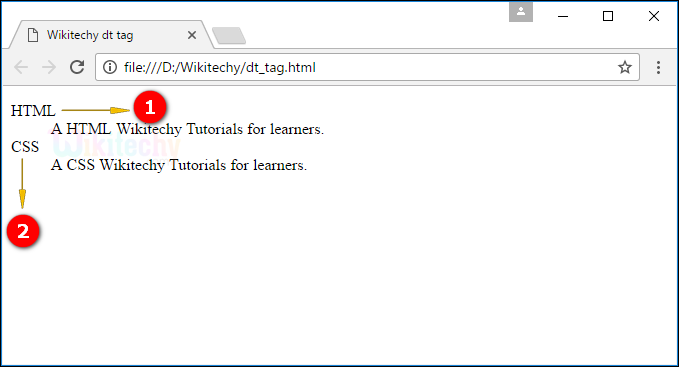 <dt> tag used to describe or define the terms in the <dl> tag. <dt> is child element of <dl>. <dt> tag used with the combination of <dl> and <dd> tags. <dt> tag supports Global Attributes and Event Attributes. 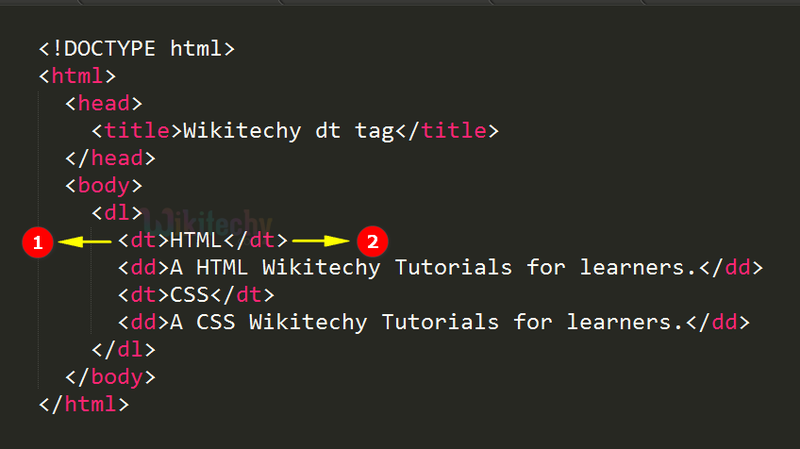 Opening tag of definition term <dt> tag. Closing tag of definition term <dt>> tag. The output shows the Definition term as HTML. Here the output displays the definition term as a CSS.